A unique steam bath carved in rock was discovered by Jagiellonian University researchers conducting excavations in the ancient Mayan city of Nakum in Guatemala. 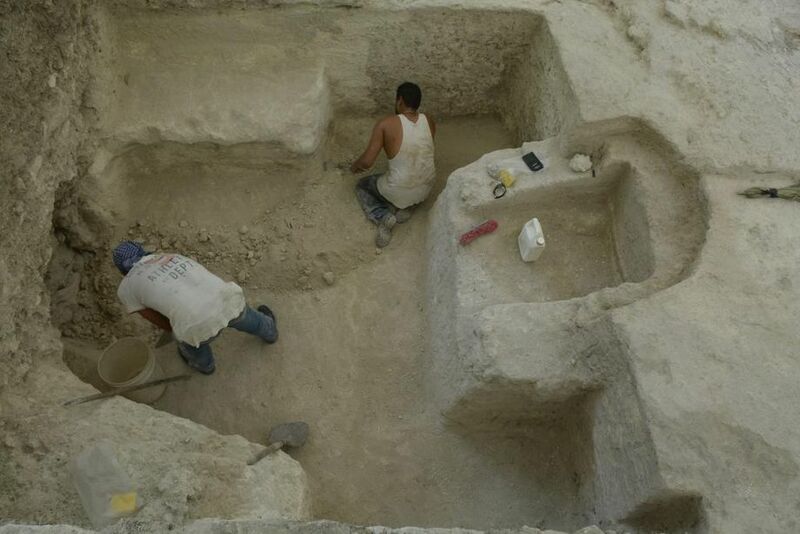 The more than 2,500-year-old structure could have also been the site of religious rituals. ‘We have initially thought that we have found a tomb. But step-by-step, having revealed different elements of the structure, we came to a conclusion that what we discovered is most probably a steam bath’, says Wiesław Koszkul from the JU Institute of Archaeology, pointing out that in the Mayan culture steam bath have been used for ritual purposes in addition to their practical function,. Even today they are attended by pregnant women, which is supposed to help them in labour. ‘In Mayan beliefs, caves and baths have an almost identical status. This is where both gods and first humans were born and from where they entered the world. Such places are considered entrances to the underworld, inhabited by gods and ancestors. Caves and baths were also associated with fertility, as the source of life-giving water’, explains Dr Jarosław Źrałka from the JU Institute of Archaeology, who co-directs the excavations. The bath consists of several basic elements. The archaeologists have initially discovered a tunnel bored in the rock, diverting the excess water. On both sides of the tunnel, there are stairs leading to a two-metre passage to the main part of the bath, which is a rectangular room lined with stone seats for the bathing people. In front of the entrance the archaeologists found a large oval rock niche, which was long used as a fireplace, as evidenced by a thick layer of burnt material. It was established that the temperature in that place must have been very high, as the rock had broken up in several places. Most probably, large stones had been put next to the fireplace and heated up. 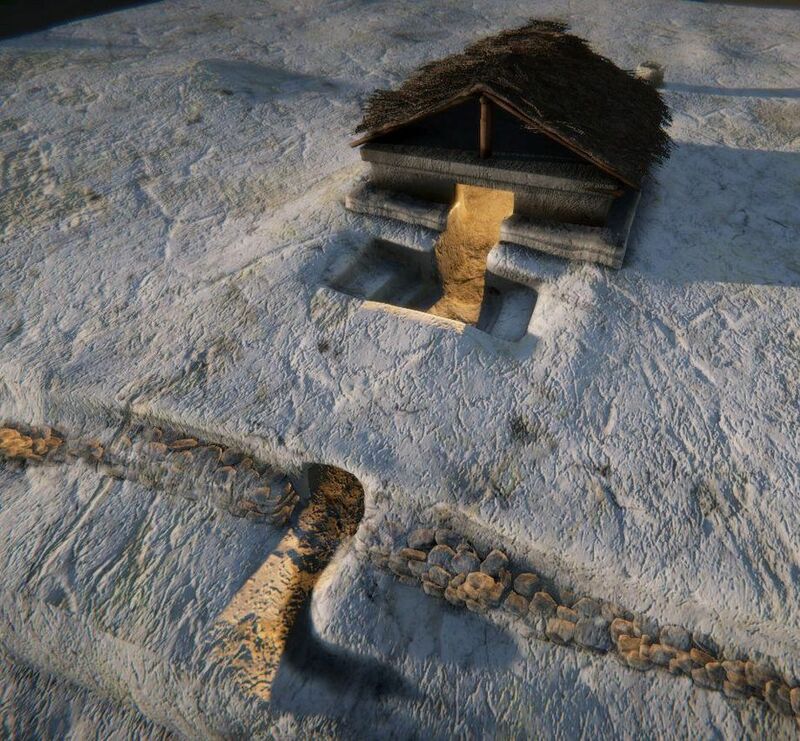 When water was poured over the stones, it turned to steam, which filled the room. The excess water flew down the drainage tunnel onto the hillside. Although the lower part of the bath was carved in rock, it can’t be considered an artificial cave due to the lack of natural vault. It is believed that Mayas built the roof, which kept the steam inside the structure, from wood, stones and mortar. In the drainage tunnel, the researchers have found not only a dark layer of ashes, but also fragments of ceramic vessels and obsidian tools, which might have been used during bathing rituals. The bath probably functioned from circa 700 BC to circa 300 BC, when it was completely filled in with lime mortar and rubble. According to Wiesław Koszkul, this could have been related to the dynastic change in Nakum, or other important changes in the social and religious life of Mayas. The bath is located in the north part of the ancient city of Nakum, on its main north-south axis. It is surrounded by ruins of other buildings, including temples, pyramids and palaces. The archaeologists believe that the bath was used by members of the local elite, probably including priests, not only for hygiene, but also for religious purposes. In Mayan steam baths, the washing of the body was accompanied by the symbolic purification of the soul before major religious feasts. 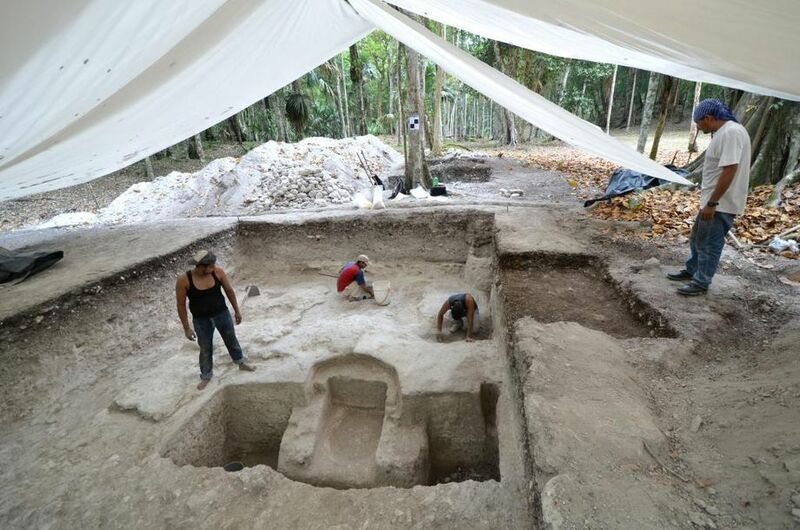 Although similar baths are known to have been used in the Mayan culture during the recent millenniums, so far the researchers have only found small fragments of these structures from the ancient times. This is why the discovery of an almost perfectly preserved facility is considered so important. The JU archaeologists have been exploring the ruins of the ancient city of Nakum for over a dozen years. So far, they have managed to reveal and study a number of structures, including graves, temples, palaces and residential buildings. Their most interesting finds comprise unique sacrificial items, such as nine clay heads representing Mayan gods, ceramic disks, and pendants made from human bone, a polychromic frieze with a mythological scene found under one of the buildings, and, most notably, an untouched royal tomb discovered in one of the pyramids in 2006. The grave goods included a jadeite pectoral with a hieroglyphic inscription.